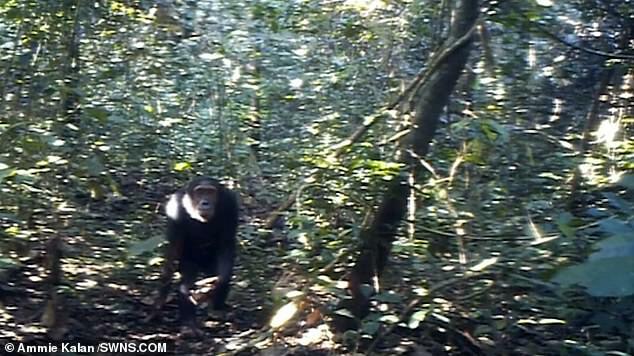 Remote camera traps planted deep in the African jungle have given a fascinating insight into the behaviour of wild apes. The apes poked at them, stared at them, and tried to bite them, but responses varied between species and individuals. 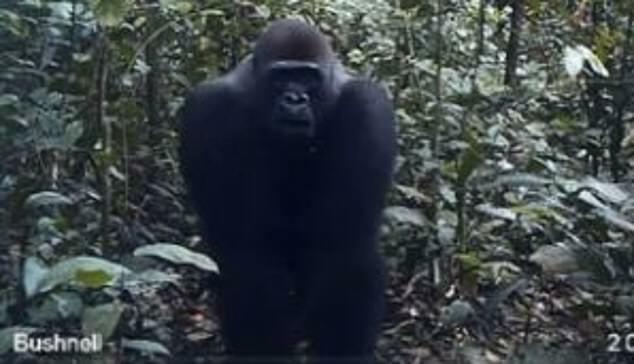 Chimpanzees seemed unfazed by the camera traps, while gorillas and bonobos were more likely to show a response. Bonobos, found in the Democratic Republic of Congo, appeared to be the most wary around the new objects. Researchers said their reactions suggest scientists should give wild animals time to get used to cameras before beginning to collect data. Ammie Kalan, a primatologist at the Max Planck Institute for Evolutionary Anthropology said the goal was to see if the presence of research equipment had any effect on their behaviour. Dr Kalan said that they also wanted to see has any effect on their behaviour and if there were any differences among the three great apes. The responses of 43 groups of naive chimpanzees, bonobos, and western gorillas to remote camera-trap devices, across 14 field sites in Africa, were analysed for the study. 'We were specifically surprised by the differences in reactions we observed between the chimps and bonobos,' Dr Kalan said.